It’s two in the morning, and I’m watching a remotely operated vehicle, or ROV, explore previously unseen areas of the seafloor off Indonesia. 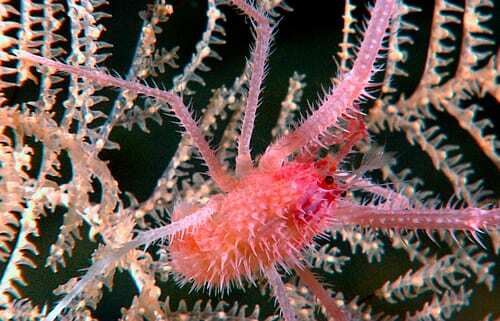 In real time, I watch a brittle star, arms wrapped around a bubblegum coral, exploiting the higher vantage point to capture a steady current of suspended food particles. But I’m not anywhere near Indonesia. I’m among a handful of people in the Redfield Building, home of the Biology Department at Woods Hole Oceanographic Institution (WHOI). 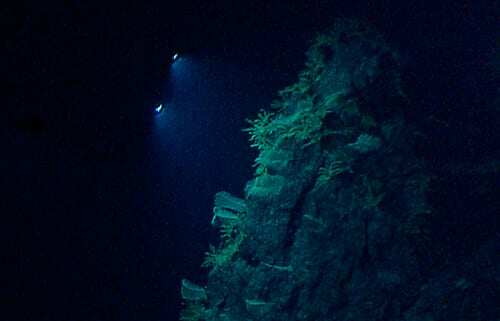 A network of cables and satellites transmits these images from the ROV, thousands of meters below the sea surface, via the research ship Okeanos Explorerto the lab at WHOI. I am an undergraduate student studying biology at University College London. In January 2010, I had e-mailed Tim Shank, associate scientist in the Biology Department, asking if I could apply to the WHOI Summer Student Fellowship Program and work in his lab. He replied swiftly and enthusiastically, and subsequently made it clear that if I were unsuccessful in my application, he would nevertheless invite me into the lab as a volunteer. Looking back, he says now that he took a chance on me, given the way I expressed my ideas and passion. He recounted to me more than once how there are points in our lives when people can make a meaningful difference, and he is always looking for that opportunity to help people pursue their passions. I continued to look for other paid internships, and by March, when I heard that I didn’t get the Summer Student Fellowship at WHOI, I had been offered a good position in London. The work was interesting, offering payment, and good technical training, but it wasn’t the right field for me. I knew that the interests of Tim’s lab suited mine and that deep-sea biology was the field I wanted to be in. The choice was obvious, so I e-mailed Tim to make sure that his offer was still there. It was! So in June, as my friends left for internships across Europe, I boarded a plane for Woods Hole as a volunteer. The first few weeks at WHOI were spent getting orientated around the lab—freezer cleaning, racking pipette tips, and learning molecular techniques such as DNA extraction, PCR (polymerase chain reaction), and gene sequencing in order to help close up a long-running experiment on how larvae of deep-sea animals colonise seafloor vents. Larval colonisers were collected from newly formed lava formed during a recent volcanic eruption about 1.5 miles beneath the sea surface in the Pacific. As they were too small to be identified morphologically—by their body structure, that is— genetics was required. I extracted DNA from each individual colonist and isolated and amplified part of a mitochondrial gene for sequencing. These sequences allowed us to identify specific species of the colonisers, and this was the first time that I had the opportunity to do this sort of work. Despite having a theoretical understanding of the techniques, I was fascinated to find that these genetic tools were so powerful in reality, and also frustrated to learn that they aren’t infallible. My involvement with the Indonesian cruise evolved more organically and unexpectedly. 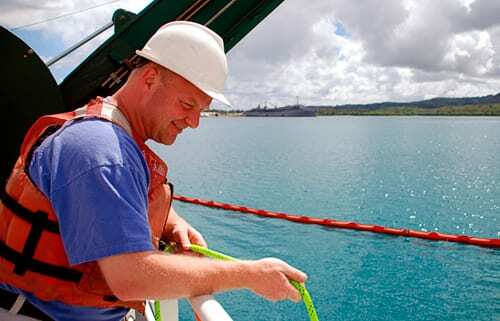 During the expedition from June to August 2010, U.S. and Indonesian scientists worked together on two ships—the U.S. National Oceanic and Atmospheric Administration’s ship Okeanos Explorer and the Indonesian research vessel Baruna Jaya IV—and at Exploration Command Centers, or ECCs, ashore in Seattle and Jakarta. 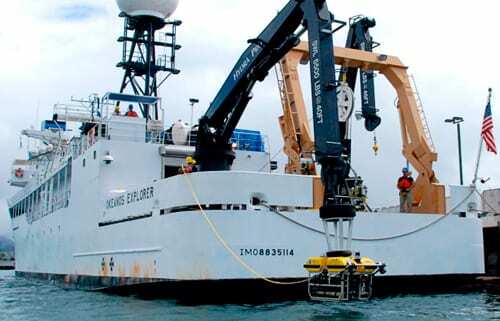 It was NOAA’s inaugural deep-ocean exploration cruise using real-time satellite communication. In the beginning, I stood in the back with Summer Student Fellow Elizabeth Sibert from the University of California, San Diego, and watched as Tim and his graduate student Santiago Herrera interacted with people at the ECCs and on the ships. But as our knowledge and confidence grew, we became a greater part of the expedition. Tim and Santiago were building up their own informal ECC around us, and during this learning curve, we all found natural roles and protocols to follow. By the time Tim left to lead the final leg of the expedition from the ECC in Jakarta and Santiago took up his position as science lead on Okeanos, Elizabeth and I were both well-oiled to take control of the WHOI “Command Center” side of the expedition. The Okeanos Explorer was conducting exploratory investigations on the diversity and distribution of deep-sea habitats and marine life in the unexplored seas north of Sulawesi. 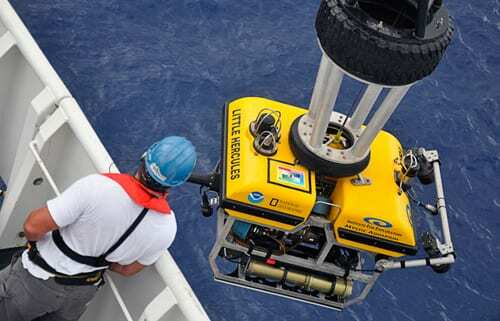 It was operating in a time zone exactly 12 hours ahead of East Coast time, so at 8 a.m. ship time, while the crew was deploying the ROV called Little Hercules, we were buying our coffees and preparing for a long night in our laboratory outpost. Depending on its depth, the ROV would take anywhere between 45 minutes and two hours to descend. Before it reached the bottom, we would join a conference call with the ECC in Seattle and various other labs, so that everyone watching from an ECC could interact with each other and the ship’s ROV control center. We ensured that our outpost was recording the incoming video feed from Little Hercules. We grabbed screen shot images of almost everything we observed and kept an essential detailed log of events and observations during ROV dives. Each of the 27 dives we witnessed was astounding. We encountered communities of chemosynthetic animals on pieces of wood that fell into the sea that seemed to differ completely from the surrounding fauna. We saw a diverse range of marine life, including pelagic sea cucumbers flopping along in the water column and a gang of squat lobsters tearing at the flesh of a jellyfish. 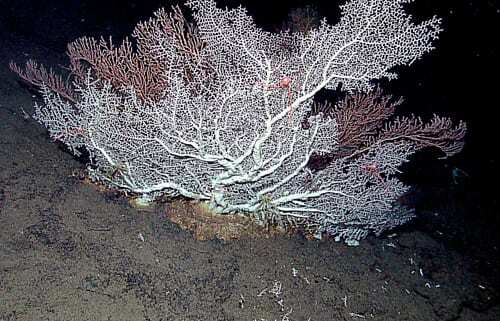 We also came across a large Gorgoniancoral, found 1,382 meters deep, which potentially has been growing for thousands of years. It was so humbling to happen upon such an exquisitely beautiful and old coral. Most of species we encountered were ones that had never been seen before. 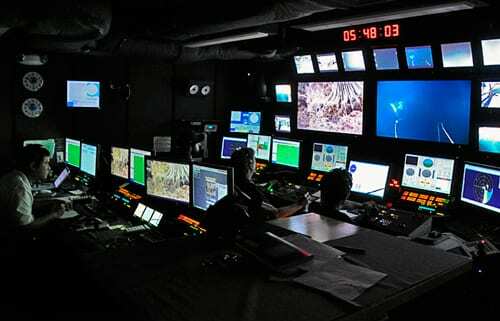 Whenever the ROV came across a new species like the Gorgonian, we would speak with researchers in the ROV control center on the ship and ask them to zoom in so we could get better footage for identification. 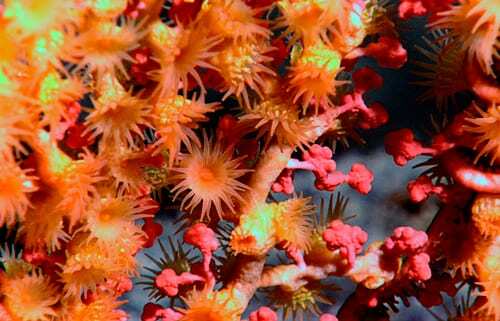 Each zoom yielded even more interesting results—we would zoom in on a coral and then see anemones, crabs, and sea lilies that had not been visible before. For the three weeks of that leg of the cruise, we lived and breathed the exploration of terra incognita in the deep Sulawesi Sea. The dives would come to an end at 4 a.m., and we would catch a ride home with the WHOI night guards, sleep until 10 a.m. and then begin our day jobs. I would carry out my lab duties, which ultimately involved photo analysis of the screen shots we had taken, then go home to eat dinner with my housemates, perhaps go for a quick swim in the Atlantic, and then return to the lab at 8:30 p.m. It was demanding work, but ultimately rewarding. Although I wasn’t actually on a ship, I got a good idea of the intensity involved in being part of a cruise. I became intimately familiar with each and every dive, as the photo analyses required me to go through every one of the roughly 50,000 frame grabs that we took. 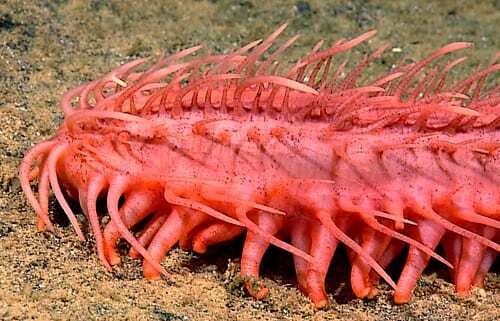 Coming from a more terrestrial biology background, I encountered many deep-sea organisms for the first time and learned much about taxonomy from witnessing the fauna firsthand. 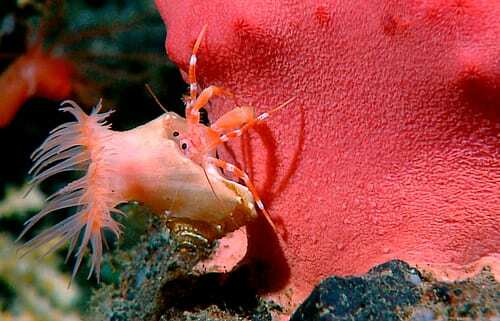 I have become fascinated by the genetic connectivity and diversity of deep-sea fauna and by host-associate relationships—for example, some species of squat lobsters and brittle stars seem to be found only on a particular coral species. My experience has given me so many new avenues within deep-sea biology that I hope to explore next summer and in my future career. I gained more than I expected as a summer volunteer. 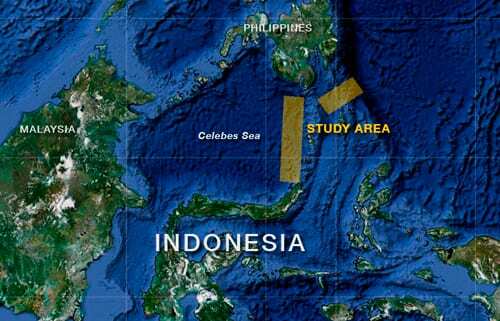 I arrived at WHOI planning to gain lab experience and left with field experience too, despite having never left the lab.